How about another new window? Are you and your Sims tired of putting in that big shop window as your big front window? Well I feel that this will solve your problems. It comes in four colors: white, black, light wood, medium dark wood, and dark wood. Thanks to IgnorantBliss for letting me use her textures. 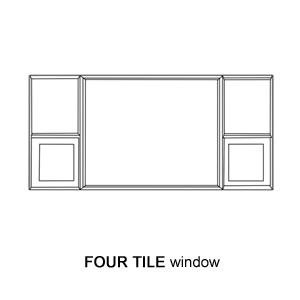 So, this window is four tiles wide, and one story high. It lets a ton of light in your Sims' houses. Once again, feel free to make recolors but always link back to here for the mesh. No pay sites please. If anyone has any window/door requests, PM me. I'm running out of ideas of what to make!